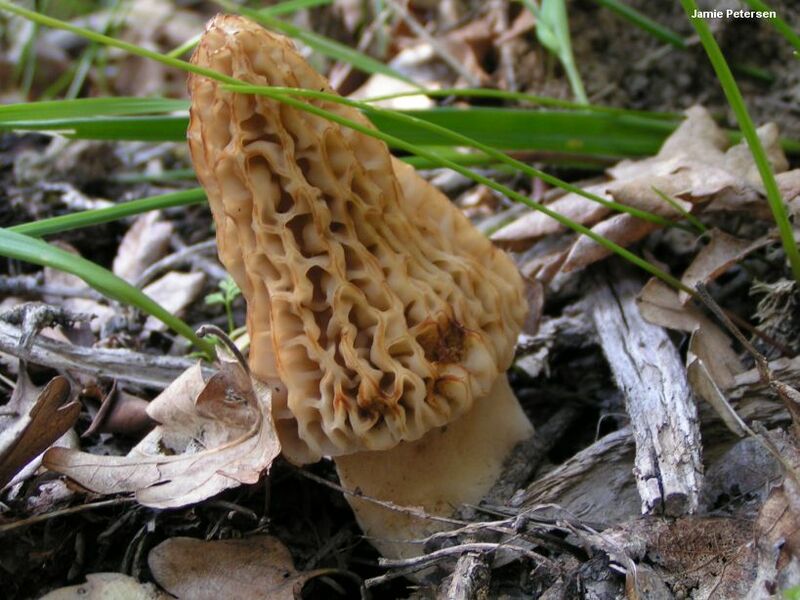 Believe it or not, this western species is a black morel--despite the fact that its colors are yellowish to tan throughout development, and its ridges do not darken to black with maturity. 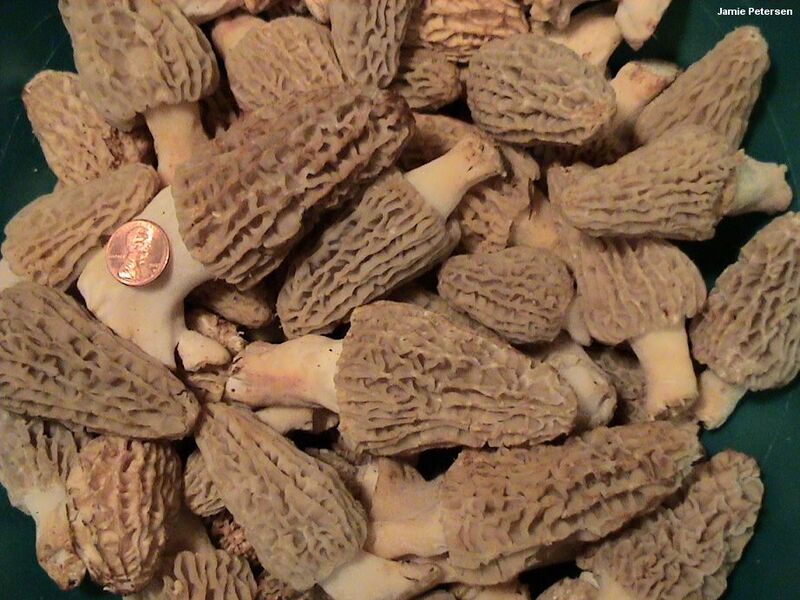 Color, however, is only one of several features that characterize black morels; the others include vertically oriented pits and ridges, and a small but noticeable groove at the point where the cap attaches to the stem. 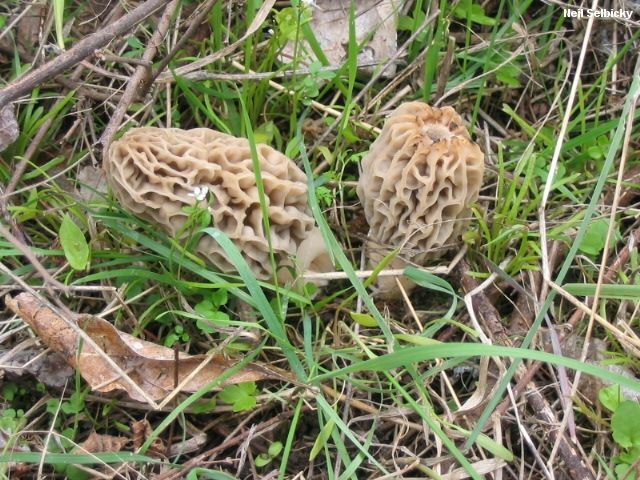 This species meets the latter two criteria--and, more definitively, DNA analysis places it squarely in the elata clade with the other black morels, notwithstanding its pale colors. How frustrating is that? I wonder what we should name it . 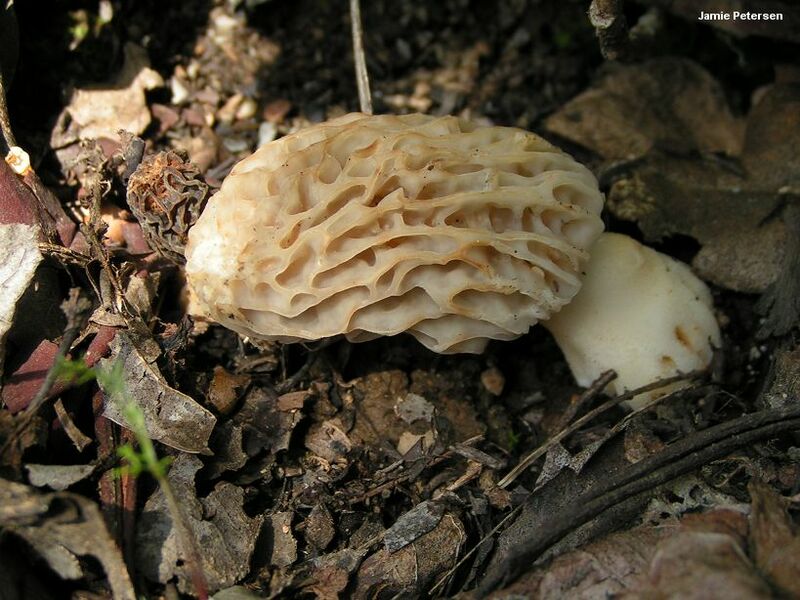 . .
Morchella frustrata, which was labeled the "mountain blond" by Pilz and collaborators (2004), is actually fairly easy to identify by means of the very things that make it taxonomically frustrating: it looks like a black morel with the colors of a yellow morel. 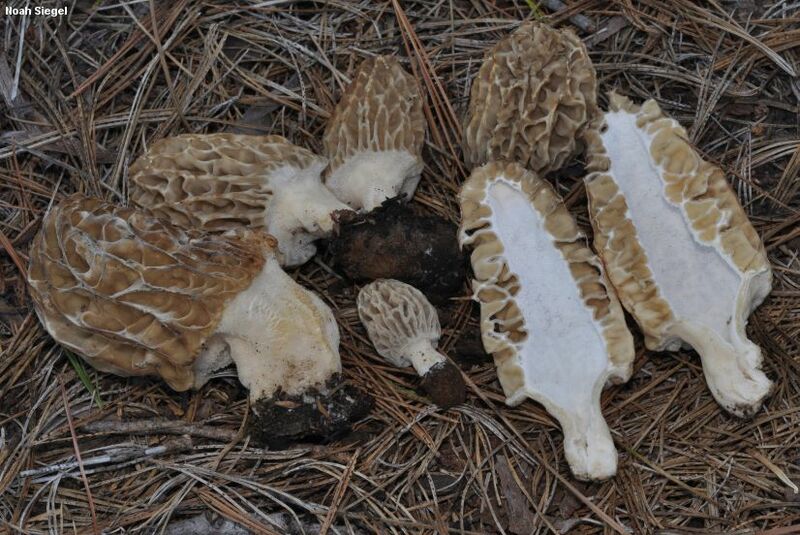 And the only known competitors for identification are fairly easily separated: Morchella esculentoides has randomly oriented pits and ridges, lacks a substantial groove where the cap and stem are attached, and (in western North America, anyway) inhabits river bottoms near cottonwoods; Morchella snyderi looks similar initially, but by maturity usually develops brown to black ridges, and a stem that is dramatically ridged and pocketed. Ecology: Possibly saprobic and mycorrhizal at different points in its life cycle; growing alone, scattered, or gregariously under hardwoods (including Pacific madrone and oaks) and under conifers (including Douglas-fir, ponderosa pine; sugar pine, and white fir); spring; probably widely distributed in western North America but DNA-documented to date only from California and Oregon. Cap: 4-6 cm tall and 2.5-4 cm wide; conical or nearly so; pitted and ridged, with the pits primarily arranged vertically; when young with bald, slightly flattened, yellowish to nearly whitish ridges and pits; when mature with sharpened or eroded, pale tan to yellowish ridges and pale tan to pale pinkish tan pits; attached to the stem with a small groove (2-4 mm deep); hollow. Stem: 2-4 cm high and 1-2.5 cm wide; more or less equal, or sometimes a little swollen at the base; whitish; bald or finely mealy with granules; hollow. Microscopic Features: Spores 20-29 x 14-19 µ; smooth; elliptical; without oil droplets; contents homogeneous. Asci 8-spored. Paraphyses cylindric with subclavate or merely rounded apices; septate; hyaline to brownish in KOH. Elements on sterile ridges 100-175 x 12.5-20 µ; septate; hyaline to brownish in KOH; terminal cell clavate or subclavate. SPECIMENS EXAMINED: Herb. UC 1860811 (holotype), 1860809. Herb. F. 04040403, 04080601. Kuo, M. (2012, November). Morchella frustrata. Retrieved from the MushroomExpert.Com Web site: http://www.mushroomexpert.com/morchella_frustrata.html.